Camden — WELCOME TO B.Y.O.C. An exciting new event is going to unfold in your favorite cocktail hub BYOC Camden. In our effort to quench you're craving for delicious drinks, we are happy to announce a special event cocktail tester evening. We have organized a cocktail speed testing sessions for our pre-booked guests. We will appoint four of the country's best mixologists who specialise in crafting cocktails with any particular liquor or spirit. Guests will take turns at each bar and test a variety of cocktails with knowledge input by the mixologist about the drinks they have prepared. We wish to create an evening full of joy filled with tasteful drinks, good vibe and lots of laughter. Our policy normal requires our guests to bring their own booze, however for this occasion BYOC will provide alcohol. All of this only for only Â£50 per person for 3 hours session. If Lady Luck is on your side and you happen to stumble through the mysterious black door across the road from Mornington Crescent station, you would be forgiven for thinking youâ€™d stepped into a 1920s casino. 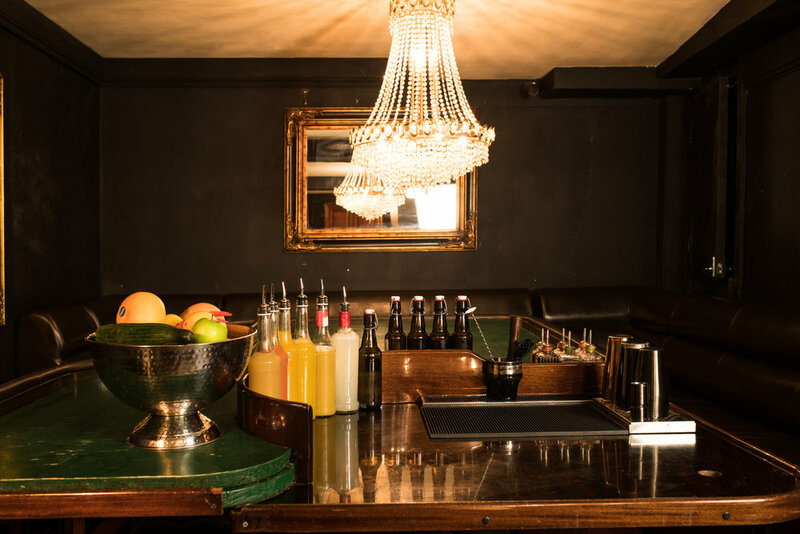 The vintage blackjack, roulette and poker tables around the room equipped with BYOCâ€™s range of homemade ingredients are, in fact, a bar, delivering a full house of flavour with every bespoke cocktail. So whether you get your flutter from a flush or French 75â€™, if youâ€™re looking for a bar with a twist, you are in luck. Tuesday â€” Saturdays from 5pm until Late. Closed Sundays and Mondays for bookings (available for private events). As the day to spread love & affection with your loved oneâ€™s approaches, we at BYOC Camden would like to welcome you to our venue where you can celebrate that special evening with style. The atmosphere will be catered to reflect and embrace LOVE in all its glory. A warm and friendly welcome along with your own savant mixologist accompanied with a bottle of chilled prosecco are just the tip of the ice burg that will guarantee an breath taking night to remember with your loved one. Pick up a bottle or two of your preferred Alcohol / spirit and simply just pop in to BYOC and leave the rest to us. A two-hour date for only Â£45 pounds per person will guarantee to leave you amazed with a variety of beautifully prepared crafted cocktails by your side are just one of the brilliant ways to start the evening. Please note that this event is available only at CAMDEN branch.